Over the past few months, we have been receiving a lot of requests from people to review SEMrush. One big reason is that it is touted as one of the best SEO software out there especially when compared to competitors like Ahrefs and Majestic. Don’t take me wrong both Majestic and Ahrefs are great, too but SEMrush has its own set of unique strengths that when leveraged properly can yield excellent results in the form of favorable rankings. That’s why we’ve taken the time and put in a lot of effort to write this SEMrush Review. One of the reasons why this review has taken so much time is because SEMRush as a service has grown tremendously since we first intended to review it. They have added and expanded upon features that cover every aspect of PPC, SEO, and Social Media Marketing. 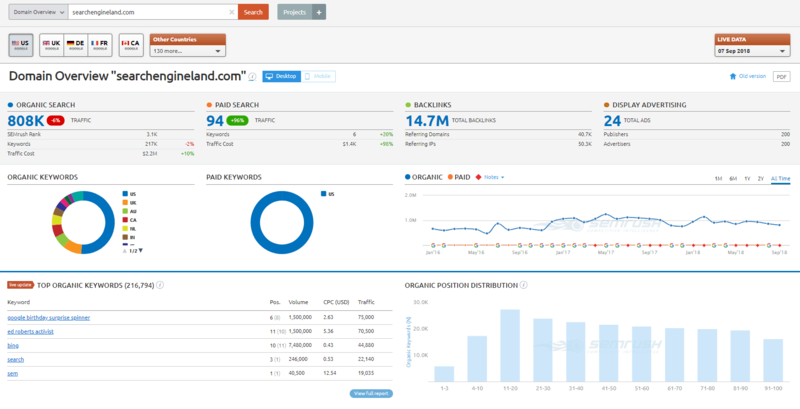 One of the best elements has to be their keyword tracking tool. 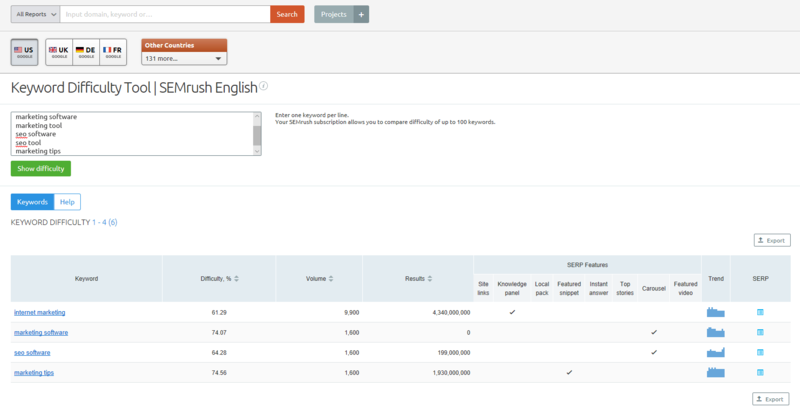 The daily position check works perfectly on the right set of keywords spread across your project. It is also an excellent tool to check for health and references. SEMRush’s biggest strength has to be their reporting feature which makes them stand out as a tool for professional SEO agencies that need to churn reports for clients. The reports can be customized and a custom builder tool an make the report look professional and rich with data within minutes. The only tool which hasn’t received much of an update is the SEO audit tool, but then again it wasn’t broken or lagging in the first place. So, despite it not receiving much love from the developers, it is still one of the best features. It is comprehensive, descriptive and useful even for someone who's taken on the gigantic job of doing their own SEO. It gives everyone a good overview of how well things are going. All the features mentioned above are just the tip of the iceberg. This does not even begin to cover what SEMrush has to offer. So, before subscribing make sure to take the time and go through our review to know exactly how much you’re getting and at what cost! SEMrush is an extremely popular SEO software which encompasses a host of tools for social media, website audits, rank tracking, etc. It is considered the gold standard when it comes to competitive analysis features. The features provide users with valuable information about their competition, link building, display advertising, organic search, and paid search. All that information allows you to see how well the competition is performing which in turn helps you decide which are the best strategies to use in your own SEO campaigns. Plus, it shows why some of the competition is doing poorly so that you can avoid what clearly isn’t working for them. All the information gathered by software’s proprietary tools also helps you to compare various domains, estimate their value and how well you’re doing against them. Interestingly the tools make it far quicker and easier to process all this information which is just a few clicks away. SEMrush has subscription-based pricing which is broken down into a Monthly and Annual subscription. Obviously, you’ll save money on the annual subscription. Though the monthly subscription will give you some idea as to what you can expect before putting down a large sum of money for the year. The Pro subscription costs 99.95$, Guru for 199.95$ and Business for 399.95$. These three plans are automatically renewed each month on the same calendar date as you subscribed. Anyone who wants to opt out needs to cancel or upgrade before the billing cycle occurs. The Enterprise Solution is meant for SEM and SEO teams that work in-house. Depending on the number of people who will be using the service businesses can email corporate@semrush.com to get a license. Plus, users can customize the SEMrush products they want. Everyone can signup for free, though the free subscription has limitations. After registering your website, you’ll get a free account which only allows for 10 requests per day. Also, the free subscription only offers 10 results a day. Though the account can be upgraded at any time. SEMrush has a 7-day money back guarantee. In addition to a 7-days money back guarantee, SEMrush offering a 7-days free trial that you can try for free here! SEMrush was originally created to provide e-commerce entrepreneurs with a host of powerful tools which they could use to boost their marketing efforts. The tools focus on every aspect of marketing like PPC, SEO, content marketing, keyword research, SERPs, backlinks, content marketing, social media, etc. We provide a complete and detailed analysis of each tool and feature in the context of how it helps businesses improve their reach and consequently do more business below. The SEMrush Analytics Reports are some of the most detailed providing insight into the competition’s strategies. You’ll learn if the competition is driving traffic via display advertising, paid search, organic search or through link building or perhaps all of the sources. The organic search report provides SERPs or Search Engine Ranking Position that the competition is targeting. That will enable you to target the same keywords as you compete for the top spot. Also, SEMrush’s organic Search Report allows you see the best performing keywords that your competitors are using to drive traffic as well as a list of new competitors which may otherwise be missed or not been fully aware of with any other tool. It also allows for the monitoring of competitor rank changes of different domains you choose. So, you are always hot on their heels. The ever-changing landscape requires that you have first-hand knowledge of what’s going on because it is crucial to your success both regarding SEO and content. The Competitive Positioning Map: It provides users with instant information of their direct competitors. The report is based on the domain’s natural traffic and the organic keywords they are ranking for in major search engines. The visual representation also shows rivals, your primary weaknesses, and significant strengths compared to the competition. Organic Competitors Report: This provides a list of domains that your website is up against in the top 20 Bing and Google search results. The metrics present you with natural traffic for each website, common keywords and see if there are other opportunities to win by exploiting the gaps in between by filling them in. The Position Changes Report: This keeps users up to date on how well the competitors’ domains are doing by updating their organic positioning in relation to your own. The data is available for both mobile and desktop versions of the website. The Advertising Research report is mainly intended to improve your advertising campaigns by providing a glimpse into what the competition is doing. You will find out how the competition is leveraging PPC investments by viewing their traffic, volume, CPC estimations, etc. for every keyword. Plus, you’ll discover valuable information which allows for businesses to improve their PPC system and work on reducing the advertising budget by yielding better results. After all, there is a lot you can learn from a seasoned competitor who may have spent thousands of dollars honing their campaign. The feature also gives you information about whether the competition is using high-volume keywords or ones with a long-tail to get their ranking. Plus, another important thing the report provides is a look into if the competition is using branded ad copy or branded keywords for better conversions. You’ll also learn how long the competitions’ ads have been around which tells you exactly how successful a campaign was during the year, season or specific periods. All of this is information which can be used to boost your own campaign. Check the duration of a campaign: If a competitor has been running an AdWords or any other advertising campaign for a while, there is a good chance it was a success. If the ad copy was only used for a short time, you could assume that either it was not bringing in enough traffic or it was because that was relevant to just a specific fashion, holiday or event. Check Domain Competitors: The Advertising Research tool provides a list of common keywords, online competitors’ AdWords spend, and estimation of paid traffic. The system will exclude results which aren’t from the real market of the domain by analyzing the overall number of keywords for every domain and the number of domains’ most common keywords. If the domains have a very high number of common keywords, they can be considered competitors. So, you can then focus attention on your PPC rivals. Localize Ad Campaigns: Paid search like the one offered by AdWords differs in the way it works from one country to the next. If you are targeting international clients, the advertisements have to be adapted for a specific geography. The local ad campaigns feature allows you to analyze keywords and texts from over a hundred countries in more than twenty languages. You are able to look at what keywords Dutch, French and American users are typing into search boxes to find the services products, etc. that they want. However, most people prefer to use their local language so the queries generated by American customers will differ from Europeans. Also, some search terms will be misspelled because people are in a hurry to find what they want or maybe using a mobile device to type. So, knowing which keywords international users are typing in to get what they want will provide additional advertising opportunities which could yield better results with a lower price tag. Many businesses use Google’s massive Display Network to improve their search advertising. So, the SEMrush Display Advertising feature is another great addition since it gives you information regarding other companies using the display network. You’ll also find out which are the most successful display ads leveraged by the competition. By analyzing leaders in your niche it allows you to tweak your own images, ad headlines, call to action and ad copy amongst other things. You can also see how many ad impressions they received and if it had any conversion potential. Finally, the other important aspect of the feature is being able to compare media banners with text only advertisements to see what is working better for the competition. 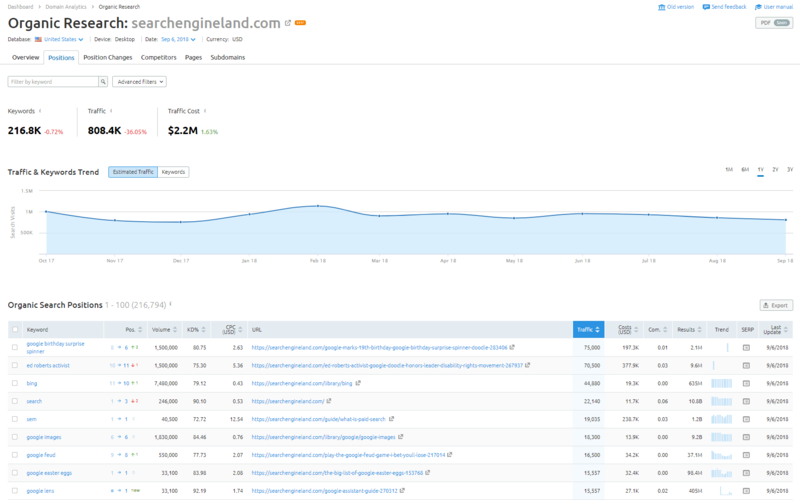 Another essential sub-feature of the Display Advertising feature is their SEM AdSense Publisher’s Report. The report outlines the other websites on which your competition is advertising and enables you to find sites you’ve yet to use to promote your own business. This type of information is excellent for local advertising where an ad on the right local website can make a huge difference. The Top 30 Report: This report shows you the top 30 of the best-performing advertisers’ websites, the media ads and texts they are using as well as the landing pages they are promoting. You’ll also see how many ad placements are used. The report also covers the competition’s calls to action (CTA) which are used to engage users, and also reveal publishers that are relevant to what they currently offer. Additionally, you’ll see publishers’ websites which are reaching thousands each day. If anything these are ideas which can be used to monetize your website or blog for better AdSense earnings. Monitor Statics Per Device Type: When you create display advertising campaigns you can choose on which devices the ads are visible. You can select laptops, computers, mobile, tablets, etc. This is useful as almost all websites need to use responsive design or at least have a mobile compatible version. Monitor Changes in Statistics: The Display Advertising Feature also allows you to see the changes in statics which depend on the ads and the devices on which they are displayed. Your display campaign will be visible across tablets, PCs, smartphones, etc. All of which results in being able to see which devices are producing the most impressions, check if text ads are doing better than media ads or vice versa and adjust your campaign settings to allow for better interaction. Any SEO specialist worth his salt knows the importance of backlinks. No SEO campaign can be complete without good quality do-follow and no-follow backlinks from forums, blogs, news websites, etc. within the niche. The Backlinks Report provided by SEMRush provides thorough information regarding geolocation, rank authority and the number of incoming links. These links are seen as votes in favor of your website’s relevance to the subject or niche, in addition to being voted up for credibility and trustworthiness. The feature allows users to check all incoming links from various URLs to their website’s domain and root domain. Plus, it gives them insight into their domain’s authority and geolocation. The anchor text linking to their website along with URLs, target web pages, titles of linking, etc. combined with the link’s weight of the competitor’s domain is more than enough information to form of a killer SEO strategy. We consider the backlink checker the single most advantageous tool for anyone who wants to improve their backlinking strategy. It also helps you view sources of referral traffic so that you’re aware precisely as to where they are coming from. Not to mention the fact disavow traffic or backlinks from spammy websites. 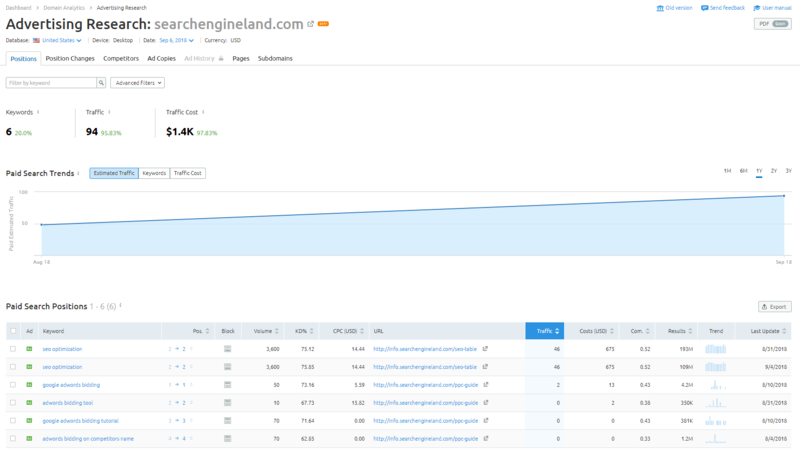 Speaking of spammy websites the backlink checker helps keep you up to date on the latest backlinks, and if you spot a series of links from bad sites, there is a good chance someone is running a malicious campaign against you. So, you have the opportunity to stop it before Google ends up sandboxing your website. Check the number of backlinks: The tool provides the number of external links of the linking webpage. This is an important stat since if a website’s page has hundreds of links, there is a chance that it is spammy and so you’ll want to remove the unnatural link. Check if there are governmental or educational links: EDU and GOV links are some of the best as they help to improve authority. So, every SEO professional knows the value of these links as they directly result in an SEO boost. Just a handful of these links can mean a great deal for your website. The tool shows if there are any of these backlinks to your website. Check competitor’s authority links: You can see where the competitors’ are getting their authority links and then approach those sources. Backlink Geolocation: Do you have any idea how to know where the backlinks are coming from to your website geographically speaking? SEMRush’s Backlinks tool provides you with geo distribution widgets like pie charts, graphs and a world map that will give you the answer to this question. It is invaluable information for anyone doing local SEO. The data is sorted by IP address, the number of links from each IP, the way they are distributed by country and top-level domains. SEMRush’s backlink checker currently has over 160 billion links and that number is poised to grow exponentially. Keyword research is the bread and butter of any SEO campaign. You can’t have a SEO campaign without a defined list of primary and secondary keywords along with long and short tail keywords. It is so important that we don’t think that there is an SEO tool out there that does not have a keyword research tool in one form or the other. 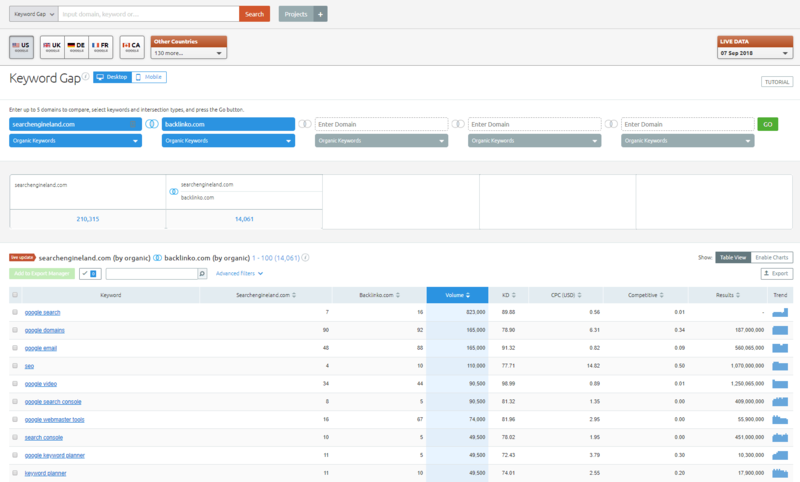 However, SEMRush’s keyword research tool is amongst the best. The tool allows you to find high-volume keywords as well as long-tail, low competition keywords for you to target. You can easily find an excellent set of keywords to start building your list which will then be used as part of the SEO strategy for the website. Not only that but you’ll get information for the value of each type of keyword, its CPC value, number of results, volume and even ad copies, etc. Plus, there is information about the topmost ranking domains for every keyword. Also, users can analyze keywords for mobile and desktop performance. The depth of detail provided by SEMRush’s keyword tool is what anyone can use to hone their campaign it is also one of the biggest reasons why this tool is so popular. Find Foreign Keywords: SEMrush has 26 regional databases that contain keywords for each of these languages. The databases are pretty expansive containing keywords for the US, Canada, UK, Russia, France, Germany, Australia, Italy, France, Spain, Belgium, Israel, Denmark, Netherlands, Ireland, Finland, Norway, Hungry, Sweden, Switzerland, Singapore, Brazil, Mexico, Hong Kong, Turkey and Argentina. Support for Multilingual Websites: Keyword research is available in 16 languages i.e. German, English, French, Dutch, Spanish, Italian, Hebrew, Finnish, Danish, Italian, Polish, Russian, Turkish, Norwegian, Chinese and Swedish. So, regardless of the language or region, you’re targeting its possible to find the right keywords to reach them more effectively. Longtail Keyword Research Made Easy: Every SEO specialist knows that relying on just the top 3 or 4 keywords isn’t the right thing to do. While you should focus on them since they have the largest volume but each day there are people using thousands of long tail queries which generate significantly less traffic, but the keywords are easier to target. Interestingly, these long tail keywords combined present on average 70% of search traffic. SEMrush collects long-tail keywords with a search volume of around ten queries a year. The keywords are shown in ascending order by volume. Since they have less competition, it is easier for your website to rank for them. Over time they can become a significant source of traffic. 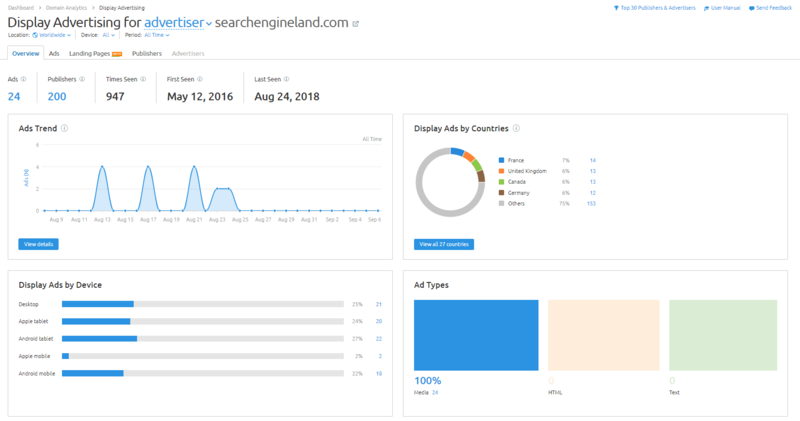 The Product Listing Ads Reports tool helps you find Google Shopping competitors, view which keywords rank the competing product ads, their product listing keywords and a lot more information. It is one of the most comprehensive Google Shopping competitor analysis we’ve seen and is used by thousands of businesses for that very reason. Having access to this type of insider information about your competitor makes it easier to refine your strategy and make it more effective. If you’re selling the same or similar product, this will allow you to grab the customers that they are trying to attract but do it more effectively. You also have the ability to compare competitive domains as well as estimate the difficulty of the keyword so that SEO and advertising decisions can be made accordingly. Get Product Feed Insights: While Google AdWords may use keywords to decide if an ad should be shown product listing ads tend to manipulate the product feeds. So, the competition’s PLA feed is a secret, but that’s where this feature comes in. 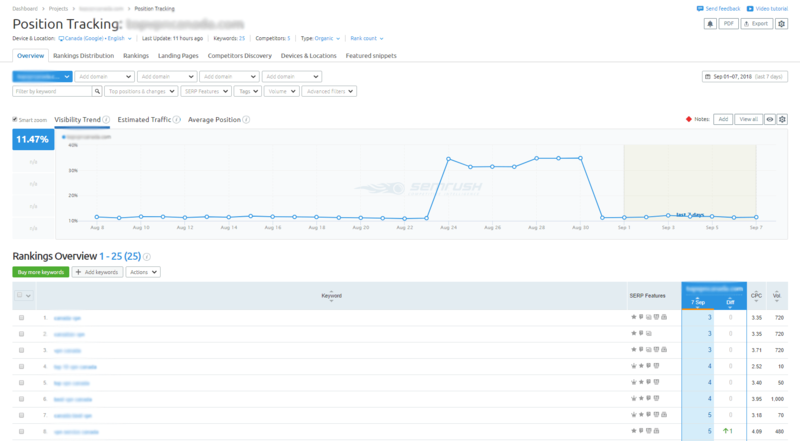 The Position Report generated shows keywords that are signaling their listing to show ads, their PLA’s ranking in search results, the PLAs that are popping up for each keyword, and a promoted product’s price and title amongst a few other things. Spy On Competitors’ Best Performing PLAs: Which of the competitions’ product listing advertisements are showing up the most on Google? What do the ads look like, well that’s where this tool can help. The PLA Copies report shows you copies of the competitions’ advertisements via Google’s Shopping. You’ll see each ad as well as the number of keywords that bring up those ads in Google Shopping Results. This allows you to pick up the top performing ads used by the competition, analyze how they work, and you’ll know what Google prefers the most and then use them for yourself. The tool’s filters allow you to sort data by Product Price or Product Title. Plus, you can narrow the search to ads that are relevant to your business. Also, all reports can be exported in CSV, XLS and CSV formats. SEMRush boasts of a number of tools which are aimed at improving SEO and content marketing as a whole. The primary goal of these tools is to help users laser focus their efforts on what matters to drive the most targeted traffic which consequently improves conversions. That said getting to grips with these tools for a newbie can take some time but which is made easier thanks to SEMRush’s various blogs and tutorials. One of the biggest predictors of your SEO success is the difficulty of the keywords targeted. The more difficult and highly competitive that keyword is the more effort, time and money it will require. Even though it is a generalized SEO statement using the Keyword Difficult Tools helps to predict if you’ll be able to rank for that keyword. It uses a number system and overall system which ranks the keywords based on how hard it is to target. Each keyword is categorized with a difficulty that’s associated with a colored number alongside the data so you can make an educated decision if that particular keyword is worth the effort. One of the ways to use the Keyword Difficulty tool is to find low competition yet high traffic keywords and then target those keywords more effectively. You’ll know a low competition keyword when it is marked green. The keywords in orange and red are tough, and so that will require excellent preparation. Now the Domain vs. Domain tool is a rather unusual visual tool which allows you to compare up to 5 different domains. You can then compare and contrast data from all of the domains. It is handy for SEO experts who want to conduct and later update their competitive analysis of the industry and where they fit in. The Venn algorithm uses diagrams and other essential bits of data to give you a pretty good idea of where your website is placed in the grand context of the niche. The Domain vs. Domain tool makes big data analysis and much-needed data mining from an SEO perspective a lot more approachable, quick and friendly. All of the information can be easily understood without having to hire a dedicated SEO team. The other star feature of the Domain Vs. Domain tool is it provides you with a detailed report on the competitors’ domains. You can see all the common keywords their domains are associated with and compare their website’s position for each keyword to your own. This allows you to get some insight into what is working for the competition and mimic their success by optimizing your ad strategy and content marketing. Knowing the unique keywords associated with each competitive domain will help you find search times which you may have otherwise overlooked. So, by leveraging those keywords more effectively, you can possibly rank higher than them and capitalize on the traffic that was otherwise benefiting them. One of the quickest ways to review competitor data is by using SEMRush’s Charts tool. It provides a visual representation of an array of diagrams which shows how well the competition is performing. You can check out how many visitors’ competitors are getting, how much of that traffic is paid, and how much of that is organic. So, you have a pretty good idea of how much the competition is spending on Google AdWords, which of their keywords are the so-called “Money Keywords” and what keywords have they lost and which are declining. All of this is beneficial information in the grand scheme of things since it helps to tailor your SEO strategy accordingly. The number of visitors the competition is receiving via Google and Bing’s top organic search results. The traffic driven to competitors’ domains via paid search. Find out how much the competition is spending on Bing Ads and AdWords. Figure out which keywords are assisting your competition in getting high SERPs. Find keywords that are no longer working to bring the competition to the top of Bing and Google or those that are lowering their SERPs. Once you have generated those beautiful reports, there needs to be a way to store and share it, and that’s where the formatted PDF document feature comes in. The My Reports feature allows you to save the reports in .Pdf format and share it with superiors, co-workers, clients, etc. The My Reports tool also enables the creation of custom reports complete with your business’s logo, annotations, comments, and other features. All of the custom report features exist to highlight and clarify your findings, structure, etc. You can also use pre-defined templates which makes it possible for anyone in your team to create a report and even schedule its creation. The report can be shared via email or via a direct link. You can also schedule a report to be sent daily, weekly or each month. It is one of the best ways for any SEO professional to automate their reporting to clients. The Keyword Magic Tool was designed to do one thing, i.e. ensure that you’re not stuck with the same group of keywords forever. It provides you with the data required to branch out to other relevant keywords within your niche. That, in turn, means you’ll get better content rankings and improve upon the results from marketing campaigns. The Keyword Magic Tools provides you with over a million keywords from which to choose by merely entering into one so-called “seed” keyword. You can then sort through the results based on ranking difficulty, search volume, competitiveness, CPC information and much more. Furthermore, the results can be narrowed down by search topic so that you can home in on the most relevant keywords to your business. It is also an excellent tool for anyone searching for relevant long-tail keywords that apply to their business. Long-tail keywords help to create more opportunities for ad campaigns, copy, content, and anchor text which boosts SERPs. All of the best keywords that you’re interested in targeting can be combined into one list for easy later reference that way you have all the required data on hand when needed. Another excellent feature is the ability to create keyword lists. It allows for the creation of 50 lists, which is great for anyone working on several websites or even several pages on a single website with each one having a separate set of target keywords. You can easily create and organize your workflow across numerous projects and then assign keyword lists to every client. Once again it is an excellent feature for professional SEO experts. Now once an SEO campaign is established for a business website, it needs to be tracked, honed and managed. The project management tools provided by SEMRush enables users to do just that and a little bit more! Knowing how well your website is ranking is an essential part of doing SEO. It is important because it tells you how much all that hard work is paying off in the way of search engine ranking position or SERPs. Which of your pages are ranking, i.e., product, content, blog, etc. The Position Tracking tool allows you to monitor your regional, national and local rankings for any of the keywords you’re targeting. Ranking data is updated on a fairly regular basis and is extremely accurate in regards to where you’re ranking for the keyword. It will allow you to see how well all that SEO hard work is paying off and if it is not then you’ll learn to retool it for better effectiveness. Plus, you can track competitor’s keywords and compare that with yours. It can be seen as a sort of your website vs. the competition joisting for better ranking. The ability to narrow down the position tracking to a local level gives you a very close view of the SERPs especially if you’re targeting a particular city or area. Daily Position Tracking: Track how well your website is ranking for a set of target keywords in the top 100 organic as well as paid results. Regularly updated data will show how well your optimization efforts are working. Track Competitors’ Ranking: The tool also makes it possible to track competitors’ keywords ranking. If anything, the best and easiest way to know how well you’re doing is to pull up a side by side comparison of yourself versus a competitor for all the search terms you’re targeting. The ability to add up to ten competitors as part of the tracking campaign means that you can easily keep an eye on the top 10. Create Multilingual Tracking Campaigns: If the service or product is available in different countries and cities or if you have a localized website, you could rank for hundreds of keywords. Multilingual tracking campaigns can be created for any country and city to keep a close eye on how well things are going locally. Filter Down the Results to Your Area: When you’re targeting a particular community or city, international or national level results don’t matter. That’s why the ability to filter the results down to your location is so useful. 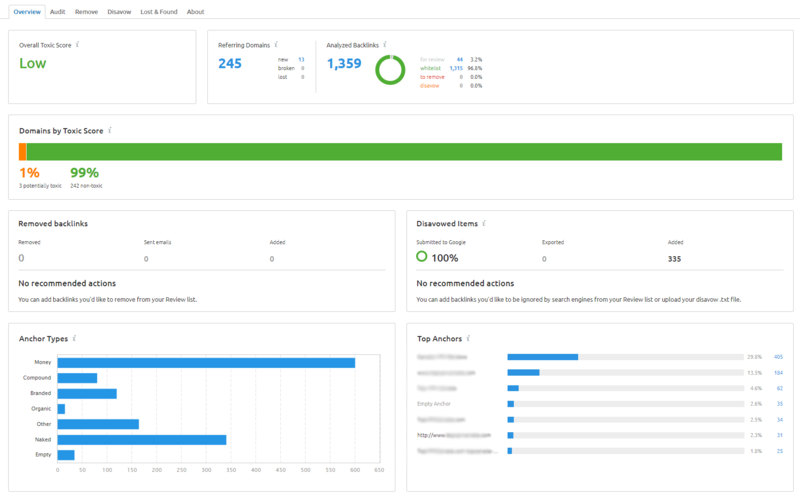 The Site Audit tool helps you to improve your SEO using SEMrush’s Site Audit feature and fix potential issues. The tool enables you to check the health of an SEO strategy, improve security, track SEO progress, mistakes, and other stuff. Site Audit makes your website more approachable to search engines like Google. So, that consequently will improve search rankings which is a direct result of a better user experience for visitors. The tool checks issues related to content, crawlability, links, images, coding, and accessibility. The problems found are categorized into three distinct groups depending on their severity. The Overview Report shows issues which are of the highest priority, and the ones which are most frequently found on the website. If you want to fix a problem that’s reoccurring throughout the website then click on the Issues Report, and it shows all the URLs of all the pages which are affected. While the Page Report shows all the issues on a particular landing page. Social media is by far one of the best ways for a business to engage with their target audience and consequently create brand awareness. The Social Media Tracker tool by SEMRush affirms the need for companies to use social media but turbocharges their effort. 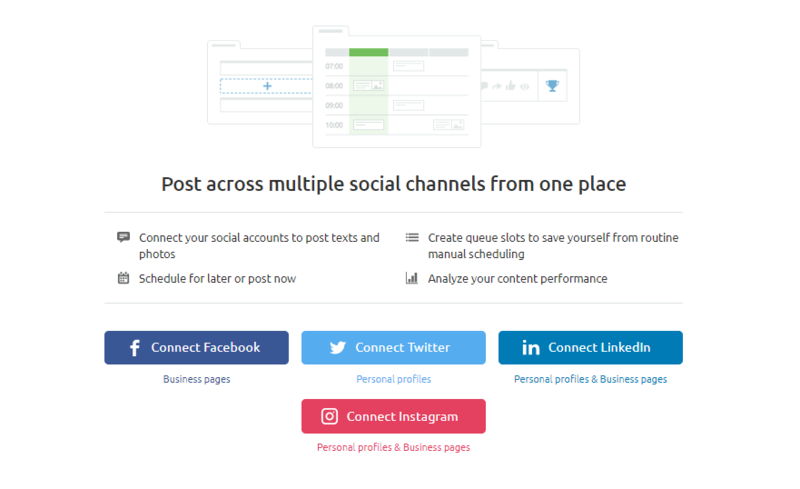 The tool provides information on things like the top performing posts by competitors so that businesses can see what they have done correctly to engage with people then compare that with their own engagement. This type of comparison is invaluable since it allows companies to hone their social media campaign based on what’s working for the competition. The tool also helps you discover and follow the hottest topics in your niche via the nifty hashtag reports. You can see which hashtags are making posts more engaging and take a peek at what your competitors are doing. 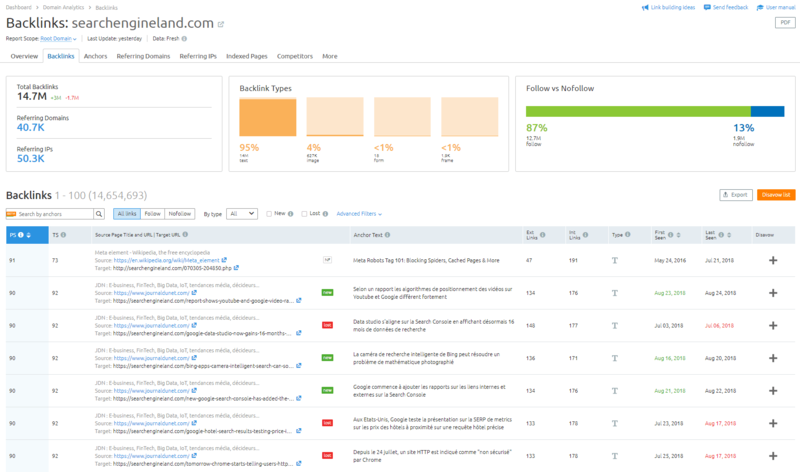 Plus, it allows you to see who has mentioned you, your brand or products with a comprehensive “Mentions” report. The report also helps you discover PR opportunities. Using the tool businesses can build a PDF report which details their social media progress. The results can be shared with clients, coworkers, etc. so, that everyone knows what’s going on. Over the years as professionals, we’ve run into many social media posting tools that automate the process and provide useful information. However, with a SEMRush subscription, they have made sure that there is no need for an extra tool to do all of that. The tool allows users to schedule and then manage social media posting to Twitter and Facebook. This saves time and helps organize content more easily. The tool also provides information regarding post performance and engagement, so you don’t have to continue checking the social media platform every few minutes to get an update. Users save time by viewing everything from a single dashboard. Brand Monitoring is essential since it allows you to figure out how popular the brand is becoming. Each time a customer or some other business mentions your brand on a blog or social media post it has a positive effect on your image and also on SEO. The tool will provide you with information if someone or some entity has mentioned your brand. So, you know who is talking about the brand and if what they are saying is negative, positive or neutral. That will give you some ideas as to if you should follow up on those mentions or leave them alone. The tool also helps you keep track of when competitors are mentioned. This allows you to target these people on your own and that could possibly open up new avenues for distributing and talking about the brand. Brand Monitoring also allows you to get insights into how competitors and other industry leaders are creating opportunities which you can seize. You can research their present and past activities which then means you’re able to adopt their best practices and find ways to distribute your content saving you time and money which would otherwise be spent on trial and error. So, in a way you are learning from what the competition is doing right. Anyone who has done SEO or continues to do it knows that Google keeps changing its algorithm. That constant change comes in the way of unannounced updates to the algorithm. The On-Page SEO Checker tool ensures that you’re always up to date on the latest updates by ensuring that your on-page and off-page SEO meets the requirements. It checks things like backlinks, content, and the quality of optimization. Plus, it offers changes that you can make to on-page SEO which improves your ranking. The detailed analysis provides you with related phrases and words which can be added to the content. These additions will make the keyword dense, where you should add backlinks in the content, length of the material in comparison with the competition and how keywords are used compared to the competition. So, if one of your goals is to mimic your competitions’ SEO success the On Page SEO Checker makes life very easy. The Backlink Audit Tool is one of the most important tools when it comes to maintaining and keeping your website up to date with the latest backlinks. You will know who is linking back to your website, which page they are linking to and if someone is running a negative SEO campaign against your site. Whether you’re doing SEO for a client or yourself, one of the goals should be to make sure that you are getting a healthy flow of backlinks from high authority website to rank well. Even though you may be running a pretty good backlinking campaign in a bid to get backlinks from highly reputed sources you can’t control the sites linking back. Also some website you may not want to be affiliated with in any way. So, to protect your website from being penalized because of being affiliated with so-called “bad websites” the backlink tool can help you find and disavow those links. The search console will list all of the links and also help you discover bad links, new ones, and compile a backlink sheet which you can then use to disavow all the backlinks you don’t want. Interestingly, the tool has automated that process as well by merely exporting the entire list directly to Google’s disavow tool with no edits or switching from the tool. The idea is to keep the backlink record clean. Tip: If you see that there is a risk of Google penalizing your website since the backlinks are coming from a bad neighborhood then disavow immediately. Another exciting feature of the Backlink Audit tool is it recrawls your website every 14 days, or you can choose to manually launch a recrawl each week. This will tell you the number of new links found and which of these are broken or lost. It will also notify you if the website is at risk. You’ll be updated of any changes via email. Using the Organic Traffic Insights tool, you can get a list of keywords for which every one of your website’s pages are indexed for and the search volume they are bringing in along with the amount of traffic and raking position. Additionally, you will also be able to consolidate your Google Search Console and Analytics data into a single place from where you can quickly view and discover all the keywords driving traffic. You’ll also know which URL is getting the most traffic and which is driving the highest number of conversions. The Organic Traffic Insights tool works by combining the Google Search Console and Google Analytics data along with its own algorithm to provide organic traffic data. The tool merges all the data in an easy to understand format which frees you from having to juggle multiple files in Excel. All of this makes it easy to identify which keywords are driving traffic to which URLs. This data comes in handy since you can now tailor the pages based on where the traffic is coming from to boost conversions even further. You will also know the reason behind major traffic swings. Bearing in mind that the content on your website is the bread and butter of your SEO, SEM and advertising campaign it needs to be very good. That’s where the Content Analyzer tool can help. The tool enables you to understand the audience you’re engaging with. You can view essential metrics like visitor sessions, bounce rates, durations, backlinks, social shares, etc. 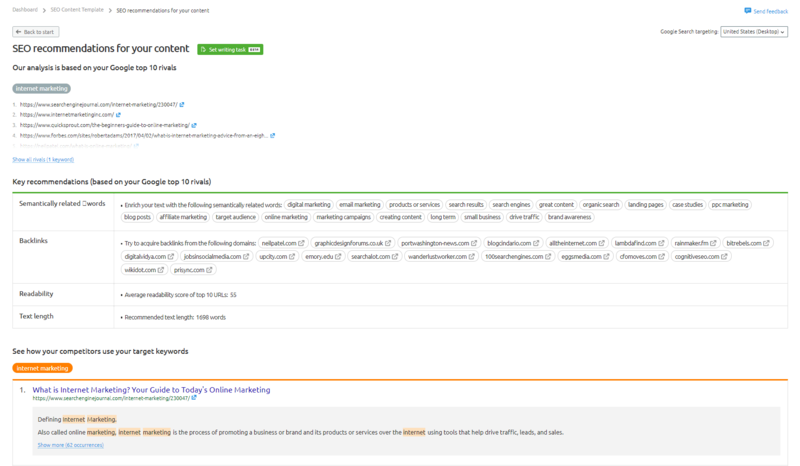 The Content Analyzer tool also helps you compare different posts against each other and provide you with suggests as to how to improve the content for Google. The other neat feature of this tool is it tracks the performance of the content published on external websites. The Post Tracking sub-feature of the Content Analyzer provides the necessary metrics needed to evaluate how well the material is doing on a partner or referring websites. It will also track how many shares your article got on Twitter, Google+, Facebook and LinkedIn. Additionally, it is possible to dig deeper and see the overall number of shares that have changed. It also allows you to track backlinks your article may have received and provide you with a so-called trust score in addition to a page score of the source of every backlink. You will also be able to see if an article is attracting search engine traffic by pulling up all the keywords that the article is indexed for in the Google Top 100. The PPC Keyword Tool is designed to help you create a successful PPC campaign by building the perfect keyword list. You can get keywords from various sources, narrow down the list, get rid of ones that cause competing ads of your own, remove duplicates and get recommendations. All of which can be further whittled down to ensure that you get the best bang for your buck with PPC campaigns. Import .CSV, .TXT and .XLS sheets. Once a comprehensive keyword list has been compiled the next step is to clean it up. 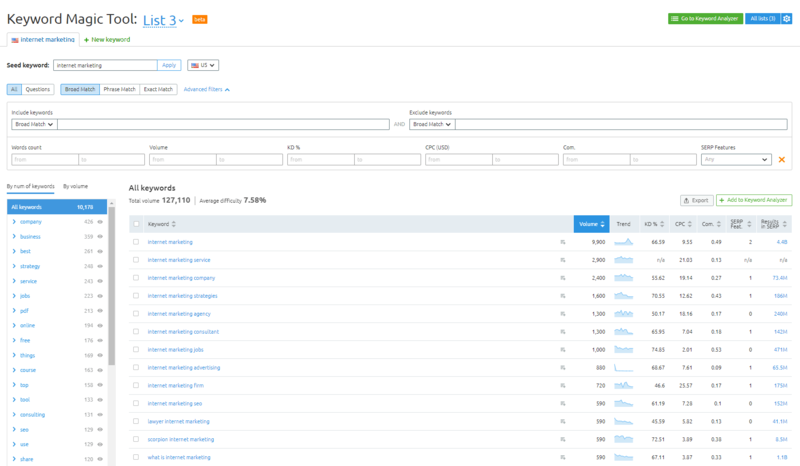 Using the advanced filters built into the PPC Keyword Tool makes it easier to choose the best keywords based on keyword difficulty, CPC, volume and other metrics. Remove Duplicates: If you are using multiple channels to pick up keywords, they are bound to be duplicates in the list. Using the “remove duplicates” button will delete all of them with one click. Special characters can also be removed along with unnecessary figures. Keyword Grouping: Another useful feature is the keyword grouping feature which is an important step in preparing a PPC campaign. You can use the drag and drop function, or if you want a single keyword per group, you can pick up the “1 keyword = 1 group” feature. Removing Cross Group Negative Keywords: Cross-group negative keywords are bound to happen when you use the modified or broad match feature in your campaigns. These terms cause ads to compete with each other, and your CPC will grow as a result. However, while it is time-consuming to remove cross group negative keywords the ‘cross group negatives’ button will save you a great deal of time. You will stay on budget as a result and avoid competing against your own ads. In addition to the core tools that are part of SEMrush’s main package, the company has over the years introduced a few separate tools addressing various aspects of content optimization. Some of these tools are still in beta while others are not. Also, they require a separate subscription apart from the main SEMrush suite. Though currently they are free if you’re already part of the SEMrush ecosystem and using their tools. But some things could change later on depending on how well these serve users and what additional features are added. Setting up the SEO Writing Assistant is pretty easy and is available at present only for the Google Chrome browser and WordPress. It is compatible with Google Docs which is a good start. To begin with, you need to head over to the download page, log-in (if you don’t have an account one will need to be created), choose to install the browser plugin and activate it post installation. In Google Docs, you’ll need to enable the plugin by going to ‘add-ons’ and clicking it there. It then takes a while to connect to an external template. After that, you can choose your target keywords and start typing in your content. Overall Score: This gives you an overall score that’s based on the quality of the content. Think of this as your primary goal, i.e. to get the highest score. The score is from a scale from 1 to 10, with 10 being the best. Generally, something in between 7 to 10 is a score you should aim for, and most people will get it too. Title: This will tell you if the title is at the top of your document and how many times the target or primary keyword was used. Generally, the title should have your target keyword. However, it does neglect to take into account words that boost CTR and giving you a look at if the competitors are writing something similar. Readability: The readability metric isn’t something new. However, the fact that gives you the opportunity to match your text’s readability to that of the top 10 competitors in the niche is interesting. A readability score of 56.4 is considered to be “fairly difficult,” to read and so the target is usually 60 and beyond if the niche requires it. For some texts, the readability should be more complex because that’s what the target audience expects and the tool makes that suggestion. Target Keywords: This particular section is crucial because here your target keywords are shown, and you’re given useful advice about the core of the texts. It is a lot like the Hemmingway app but easier to understand especially for someone who has never written for search engines before. Words: This feature will tell you how many words have been written so far and how much you should write. My assumption is that the target number of words is based on the competition’s content length and if that’s working well for them. Though that’s something that SEMrush hasn't official talked about so its only speculation. Recommended Keywords: In my opinion, this is the most important feature because it is hard to rank for a given keyword without using related keywords a couple of times. So, you can’t rank a plumbing page without mentioning water, pipes, and faucets. It recommends keywords which are marked in gray and once they are used those keywords turn green. That’s an excellent visual indicator of which keywords were used. The SEMrush SEO Writing Assistant does not break any new ground, but it does make writing good, SEO oriented text easier. It is excellent for anyone who needs to write a lot of texts or also someone who is processing texts by other writers to make sure it follows all the required SEO guidelines. The significant feature here is its ease of use. 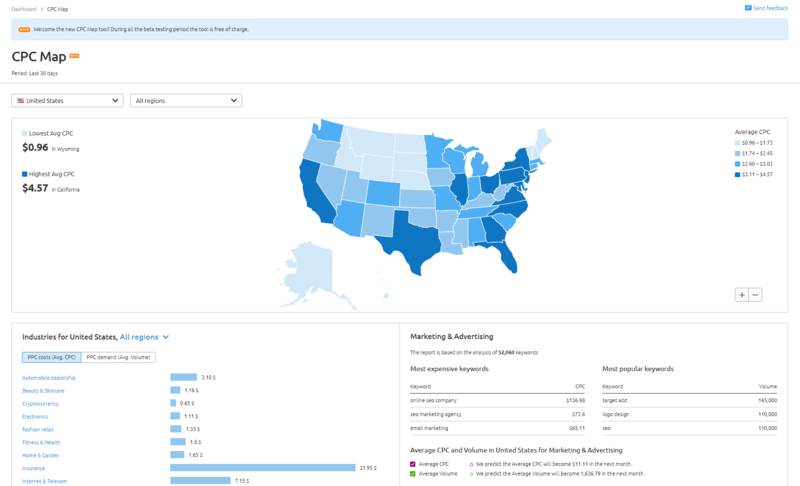 CPC Map is a nifty little tool developed by SEMrush to provide advertisers with an overview of what Cost Per Click advertising will cost them in different locations within the country. That said it still does not tell you which areas will be the most receptive and affordable to advertise in online. However, it still provides you with an easy way to evaluate the cost of advertising in a potential of a state or region. You can use the tool to compare search volume and PPC costs across a multitude of industries. It is great for market research or for a consultant who is about to quote a price to a client. Assess Costs: Users can analyze the costs associated with advertising in different regions, cities and states in a side by side comparison. Compare Costs: PPC costs versus PPC demand (shown in average search volume) in 17 of the most popular niches which range from legal to medical and sport. So, you get a very good idea of what you can expect to pay and where so, it makes figuring out a campaign budget easier. Comprehensive industry analysis: You can explore every industry in great detail and find the most expensive as well as popular keywords. We found that many times expensive does not always translate to more popularity. The CPC Map is a handy tool which will give advertisers a good overview of the prices they can expect to pay for a particular niche in a particular region. However, the tool still needs more work, and the markets need to be expanded further especially into non-English speaking territories. That said the ones it currently operates in are pretty big and most people will be targeting English speaking regions anyways, so it is still worth exploring. If you are searching for an easy and quick way to start lead generation, then this new tool will be a big help. The Lead Generation Tool boasts of a couple of useful features like helping to create an opt-in email form which can be placed almost anywhere on the website to start collecting leads. The tool also provides visitors with a lead magnet which gets them to fill out the form in the way of an automatic website audit summary. The summary provides visitors with a review of their website and requires nothing from the user. How to get a Lead Generation Form Up and running? Its simple all that’s required is to log-into your SEMrush account, click on the Lead Generation Tool on the left. The Widget Settings will open up, and you can fill out the form with all the required information that you want visitors to see. Then personalize the subject and response message in the email and hit ‘save.’ The opt-in form can be further personalized with updated colors which reflect your website’s design or branding. In our experience, the Lead Generation tool is pretty useful but perhaps most if you’re running a SEO business and want to collect sales leads. What it does not tell you is which pages were crawled. So, you better prepare an answer to this question just in case a prospect asks. Though in our experience it is a pretty useful tool which is packaged in an easy to use interface. The SEO Content Template helps to boost and streamline your ability to write optimized content. The template is created by using the targeted keyword and continues to monitor your article’s SEO value as you keep writing. Obviously, there is nothing much to it but still happens to be a must-have tool if you’re writing a lot of SEO content for clients or your own websites since it speeds up the process. How to start using Content Template? Start by going to the Keyword Magic Tool or click on the Topic Research, enter in a seed keyword that you’re targeting and analyze the table of all the related keywords. Then choose one with a difficulty score of around 65 or below. Open the SEO Content Template, enter the selected keywords from the tool and review the template suggestions. The template will continue to provide you with recommendations and allows you to see how well it's going. It also ties in with the SEO Writing Assistant plugin for WordPress and Google Docs. Yes! If you’re writing a lot of SEO Content and want to make sure that you’re on track with every one of those pages, then this tool is for you. But not if you’re just writing a few pages a month. That said currently in beta it is free to use for SEMrush customers so certainly worth a shot since it makes life a lot easier. The Topic Research tool helps with one critical aspect of content creation, and that is finding the right topic. Knowing what topics will draw the most attention, and traffic can be key to your content marketing and SEO efforts. So, this tool sets out to make that particular aspect easier. 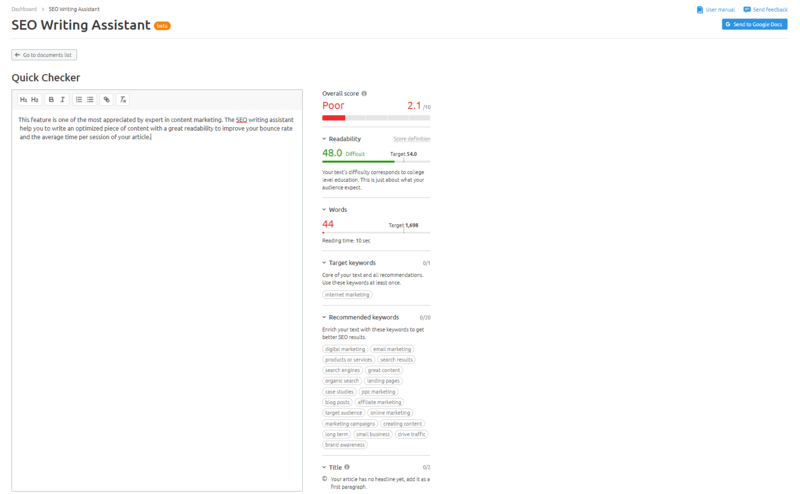 Topic Research is an innovative and useful tool currently in beta and free for paid SEMrush users. However, once the beta period is over those who wish to use the tool may have to pay a currently undeclared amount of money. Now with that out of the way the Topic Research tool works by helping marketers discover the most popular content within their niche across the internet. You’ll find hundreds of headlines which could potentially resonate with your target audience. Also, a list of FAQs is presented which ensures that you’re answering all the questions that your target audience may ask. The way this tool works is that users enter in their target keyword, choose a location which can be narrowed down to the city they want to target and then get a list of all the useful topics. Users also have the ability to format the results in cards or a mind map which makes consuming all that information easier. An alternative method to get an idea is to enter a domain and get content ideas for it. Topics can be further expanded upon by clicking on the ‘down’ arrow. Every headline is accompanied by a link from where it is sourced from which means that you can check out the complete article. While the information is reliable and sourced from Google, we strongly advise against copying content or headlines. The goal with this information is to help come up with the right type of content that’s similar, maybe better but not the same for optimum effect. Yes, it is indeed worth it as the tool is useful for any content marketer, and it is easy to use. The only downside is that it requires some level of SEMrush subscription. But given the depth of information provided it is only fair that you have a leg in the SEMrush ecosystem to benefit from its data. The Marketing Calendar feature by SEMrush ensures that marketers don’t get lost in their marketing activities especially when there are multiple groups of people involved. Most marketers and SEM specialists often forget vital pieces of their campaign, and that results in numerous adverse effects. Now even though this isn’t the most innovative or out of the world tool, it is still extremely useful. 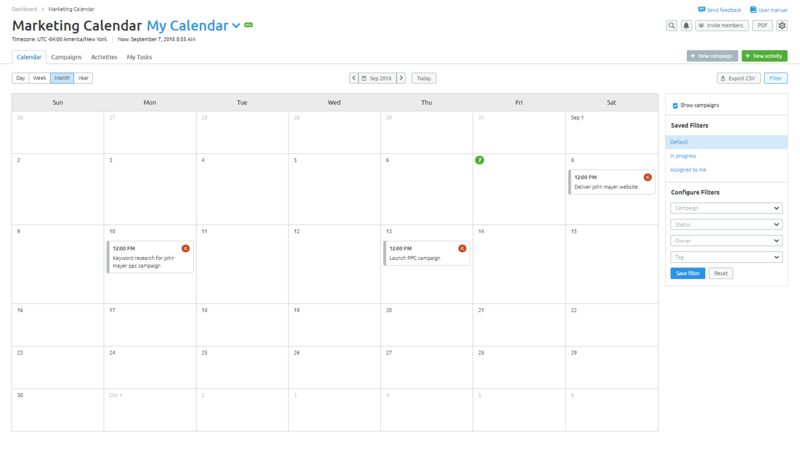 The search feature allows you to easily find activities, campaigns, and tasks across all of your calendars, which makes managing processes quicker. It also makes keeping an eye on employees and their responsibilities easier too. The search feature can be used to easily sort by title, and the related search results are sorted by date and type. The creations are listed in order of newest tasks, activities and finally campaigns. All items are clickable and have checkboxes which can be marked as done. The other interesting feature is that the search works across all of the calendars and ones that you’ve been shared. By clicking ‘more’, you can see more results. 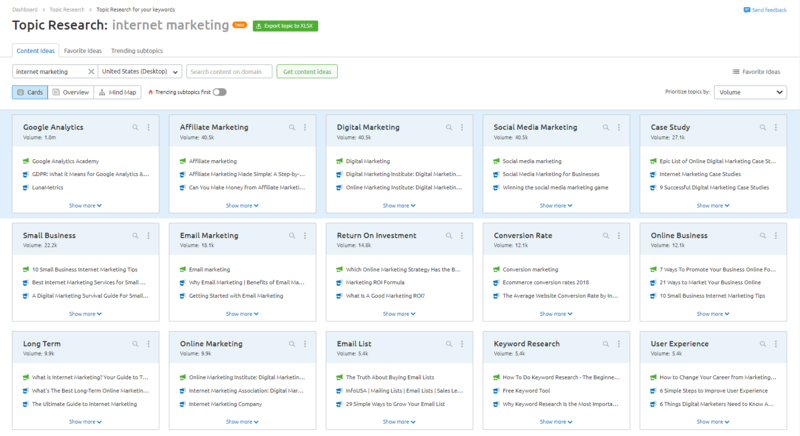 SEMrush’s Marketing Calendar is a work in progress. It isn’t the most powerful tool which will make it worth a purchase yet. Though if you’re already part of the SEMrush ecosystem, this is free for you to use. But it is only useful if you’re managing multiple campaigns. Plus it falls short in the sense that it does not prompt you about approaching deadlines, and events which would be a useful feature in a future update. A recent survey of SEO experts from around the world asked about their favorite SEO tool. A total of 50 experts were surveyed out of which 30 of them recommended using SEMrush. It continues to be recommended as the best keyword research and competitive analysis tool on the market. While our above-mentioned review is pretty comprehensive and outlines every feature that SEMrush has to offer you’re really not going to know if this is the right tool for you unless you use it. But most people wouldn’t want to pay 99.95$ just to trial run software or tool they haven’t used before, and that’s where we can help you. There are two ways to try SEMrush the first is to use our nifty little widget. Just enter the keyword or your website to get a detailed report. The report will outline things like keywords, search volume and a couple of other things. It gives you a sort of taster as to what kind of potential it has to offer, so you know what to expect when the tool is applied in the real world. The widget will convince most people if the tool is something they need from the get-go. The other way is to get a no-obligation 7-day free trial by clicking here. Using it for 7 days will give you a very good idea as to what you can expect from the tool. It will give you a ton of insights and keywords which can be leveraged effectively to boost traffic and engagement. Not to mention the fact that you’ll be able to test everything we’ve said in this review and put it into practice for yourself. What’s more is that you’ll see a visible improvement in your engagement and traffic at the very least. One of the biggest advantages associated with SEMrush’s core offering is its vast array of tools which help you better understand, optimize and track your progress. It is a tool that really works when it comes to improving engagement, reach, traffic and audience interaction. The tools are powerful and very helpful. The features provide excellent competitor analysis which saves you time and effort trying to figure out how the competition is doing better than you. Many of the tools go beyond just SEO and into the realm of PPC, content marketing, etc. So, regardless of your goals, these tools that will make your life a lot easier. Despite the complex nature of the information provided by SEMrush they are laid out and presented in the most comfortable way we’ve seen. So, almost anyone with some knowledge will understand that information and act upon it. There is some speculation that the suggestions, results, and data provided is more of an estimation than actual SEO data. It does not have an extensive backlink database through its partnership with Majestic helps circumvent this issue to a certain extent. SEMrush is one of the most comprehensive SEO and SEM tools out there. However, it is not a tool for the budding entrepreneur who is still getting to grips with laying out their website or has no idea what a landing page is. It is a powerful tool that requires a degree of experience. Some tools are obviously more complex than others. Then there are tools that some businesses may never use. Though in the grand scheme of things the goal of every feature ranging from its backlinks monitoring to keyword research, competitor analysis is to give you a leg up on the competition. Not only does SEMrush give you a great deal of actionable information but also insights into what competitors are doing and you need to figure out what works. While some of the data is arguably speculation, others are the real deal. For instance, knowing what AdWords advertising is working for the competition will help develop your own killer strategy without spending on trial and error. The same goes for other aspects like social media engagement, domain authority, brand mentions, and long tail keyword discovery amongst others. The only weakness and something we’ve mentioned above briefly is its somewhat limited backlinks database. The backlink monitoring tool and others aren’t able to grasp the entirety of most link building campaigns. Many backlinks go unreported. While the new hook up with Majestic’s database does improve things slightly, it still isn’t as good as the competition. So, some work needs to be done to enhance backlink audit results. Though this is in no way, a deal breaker especially compared against the backdrop of solid reporting and insights. In this SEMrush Review, we’ve covered every aspect of the tool, and our recommendation is to get it. Whether you’re optimizing your website for traffic, engagement or sales or doing it for clients, this is a must-have tool endorsed by hundreds of professionals. So, you can’t go wrong with it. If anything you’ll be doing everything right!